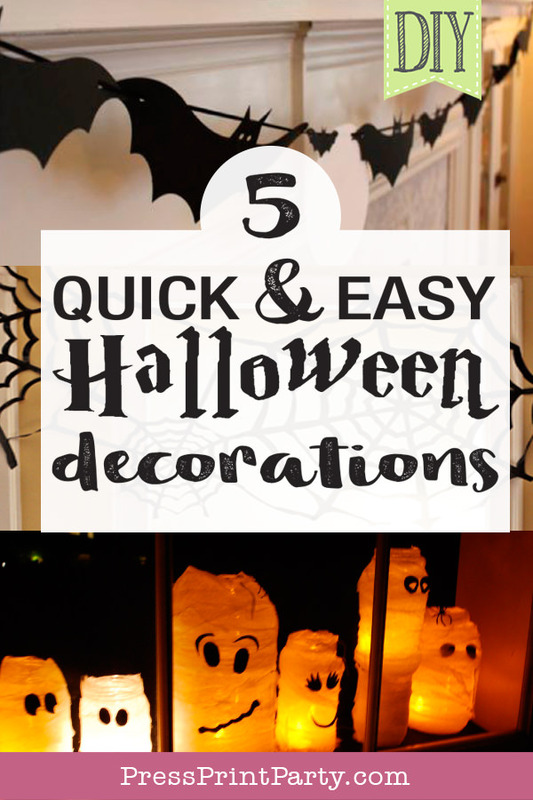 5 Quick & Easy Halloween Decorations - Press Print Party! 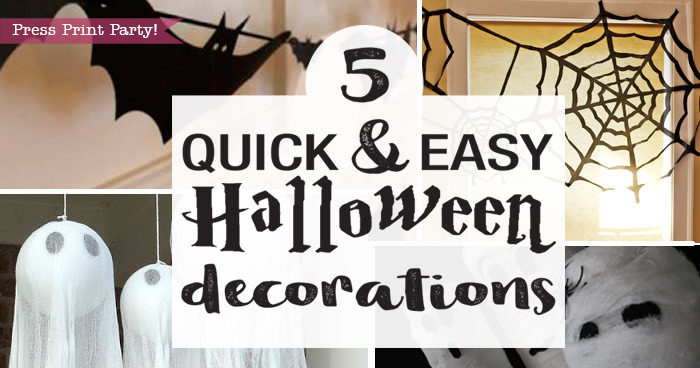 You probably already have everything on hand to make these super easy Halloween decorations. I love seeing a DIY project I can do without having to go to the store to pick up some obscure item. 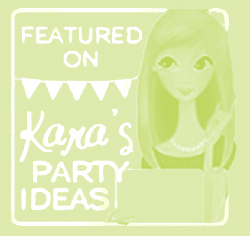 These ideas are perfect for a party, or just to decorate for fun for Halloween indoors or outdoors. 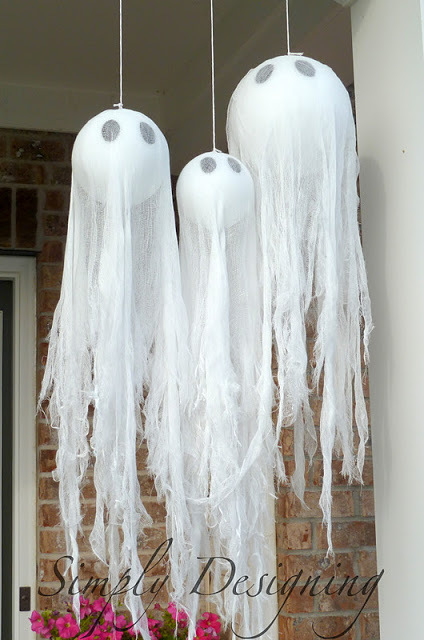 These are not too scary for the kids either. I know my kids didn’t like anything too spooky as young ones. 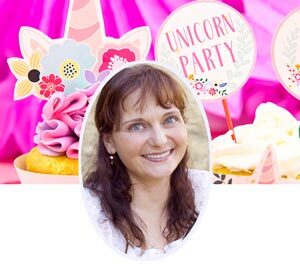 Two of them come with free printables, and they all come with great tutorials! Count me in! 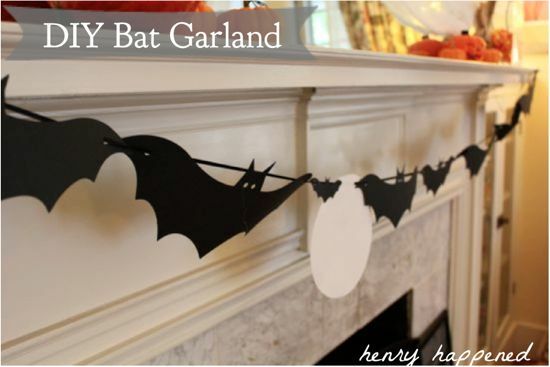 If you have black construction paper, you can dress up your mantle with these cute bats from Hello Glow. They come with a free template in 4 sizes! 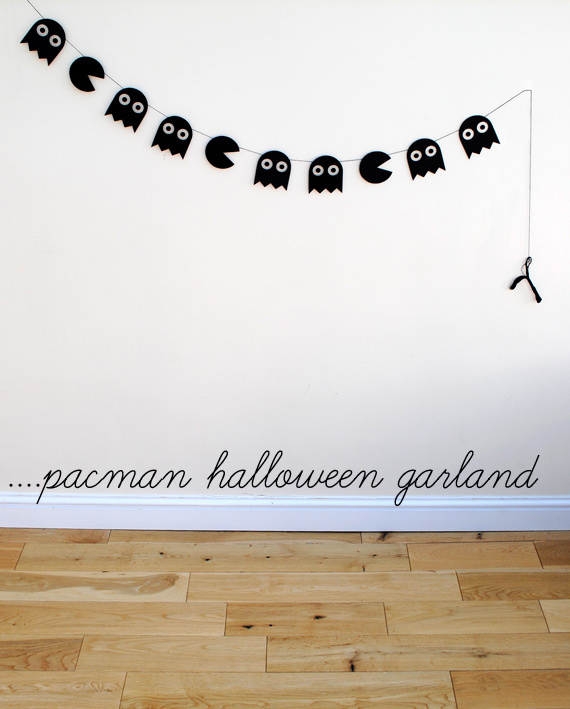 I had a good laugh when I saw this clever Pacman garland from Minieco. Reminiscent of the 80’s playing way too much Pacman. It also comes with a printable template. How about utilizing something ugly to craft something amazing! 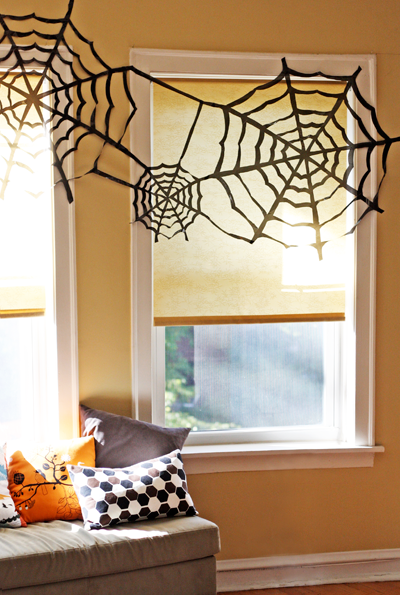 It’s time to put those leaf bags to good use and make these trash bag spider webs from How About Orange. 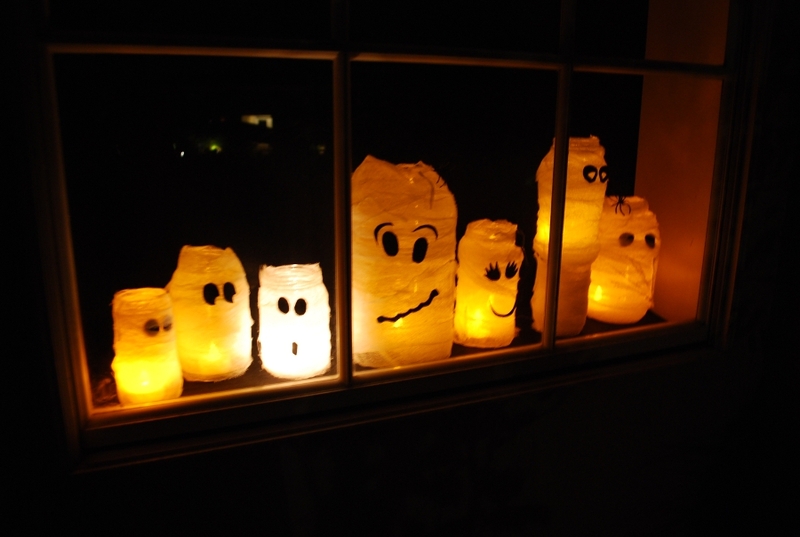 Hope you found something to make right now to spooky up your house. 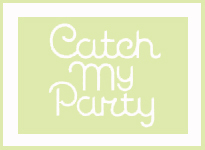 Check out all of the Halloween posts and freebies on the blog! Don’t loose these great ideas! Pin’em!